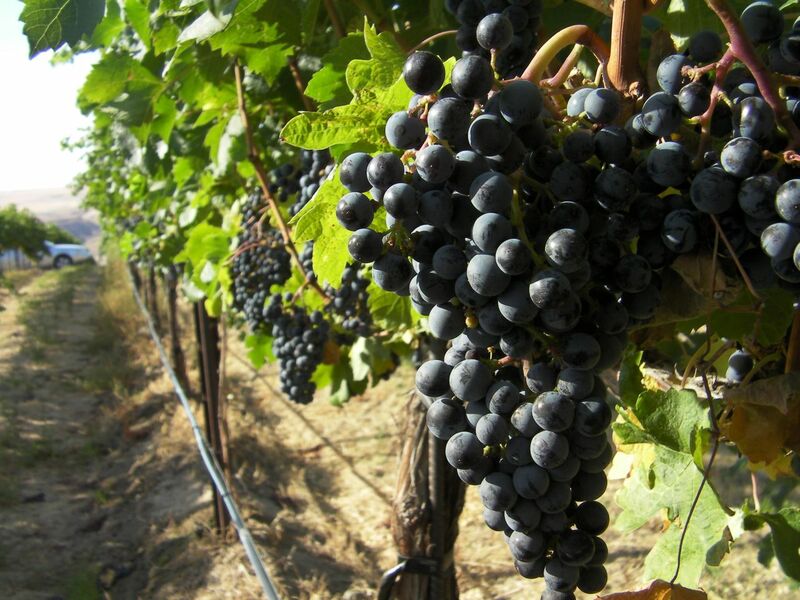 The bold, luscious red varietal- Syrah- is grown world wide. Originally from the southeastern part of France, the grape has migrated to several regions with great success! Tales have been told of it originating from Iran, Sicily and other Mediterranean delights; however, DNA analysis concludes that it is a cross of Dureza and Mondeuse Blanche (both of French origin). So, where in the world do we find Syrah? Classically Rhône- Syrah is found in both the Northern & Southern Rhône, and they are very different. In the Nothern Rhône, it is 100% Syrah with only a touch of Viognier (a white varietal) allowed per AOC laws. Expect dark, hedonistic, inky fruits mingling with earth, mushrooms and pencil lead. Southern Rhône is allowed to blend– and they do! With the availability of several different varietals, Châteauneuf-du-Pape takes the lead as King of Blending. In addition to Syrah, CNP can use: Cinsaut, Counoise, Grenache Noir, Mourvèdre, Muscardin, Piquepoul Noir, Syrah, Terret Noir and Vaccarèse (Brun Argenté). Since it is primarily Grenache based, expect bright summer cherries with expressive spice, depth and higher acidity. Killer. Not quite the cousin to France, as Spain always has to add a bit of umphf and vigor to their reds. Found in Catalonia and Jumilla primarily, the heat explodes the juices and spice- plump fruit with baking spices of cinnamon and cardamom. Lower acid, higher alcohol. Renamed Shiraz when it migrated, Australian Shiraz is Syrah, just spicier. Not too dissimilar to Spain where the heat creates an extracted fruit bomb with amazing black peppercorn delights- Australians are very methodical and exacting. Expect a balanced fruit explosion. The States have several growing regions, but for the acclaim: California and Washington get the ticket. California is hotter with a maritime influence, whereas Washington is a desert climate- hot with a cold evening. California provides a fruit bomb experience. Washington, expect a diverse experience from ripe fruits to stones, granite, olives, and peppercorn spice! Argentina – Known for Malbec, yes… Argentina makes a rock star Syrah. Extracted yet the mountains cool down and allow for great acidity for food pairing (spicy dishes!!). Chile is similar to Argentina yet cooler. Experience softer fruit with higher acidity and refinement. If you haven’t had anything from South Africa, this is where you should start (though there are great several contenders). Bodacious ripe and often cooked fruits with subtle hints to BBQ smoke and brine. An amazing Syrah for meats and bold flavors (curries and spice). Get it! Not native to Italy… but when times change the Italians embrace it. Super Tuscans came about in the late 1890’s when Phylloxera hit France. French winemakers, trying to save their stock, asked to grow in Italy (as well as all over the world). The end result was a bit of a controversy. The wines, of course brought Phylloxera , but also introduced non- traditional wines to Italy. High end producers couldn’t sell the wines, per government regulations. But they were amazing. So- guess what they did? Sold it anyways. They are Italians! Syrah, Merlot, Cabernet Sauvignon are some of the heavy hitters to the most renown Super Tuscans. I have personally never tasted these wines, but I have no doubt that the reason they are not imported is because… they are consumed!